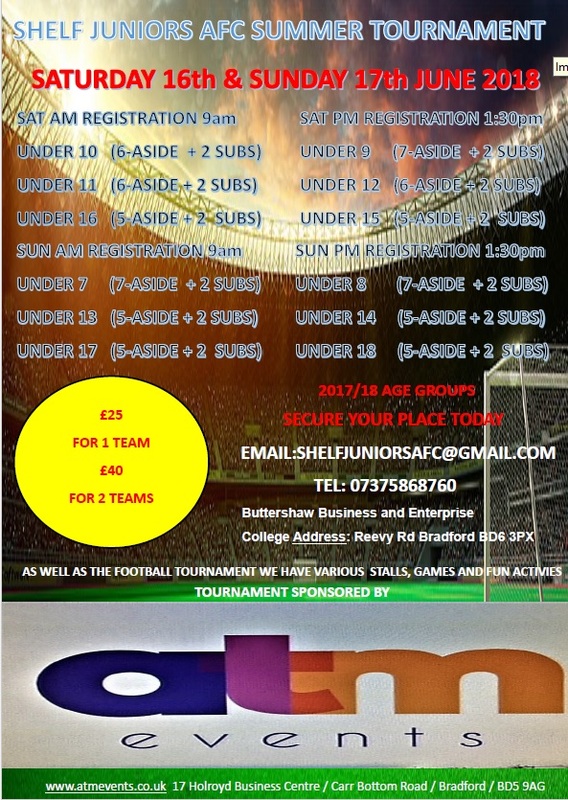 Secure your place today for the upcoming Shelf Juniors AFC Summer Tournament which this year will take place on Saturday 16 & Sunday 17 June. Registration is £25 for a single team or £40 for 2 teams. Age groups are as the poster below. For further details email shelfjuniorsafc@gmail.com or phone 07375 868760.